As a Saints fan, if someone had walked up to you before the beginning of the current 2018 NFL Regular Season and told you that after 12 games, the Saints win-loss record would be (10-2) — would you have taken it? And would you have been happy about it? If your answer was yes, then you’re probably among an overwhelming majority of fellow “Who Dats” this morning that feel the same way, in spite of the team’s disappointing performance in their 13-10 loss to the Dallas Cowboys the other night. And with 4 regular season games remaining on their 2018 schedule, the Saints’ top focus for the remainder of the year is to win as many of those games possible — so that they can finish as one of the highest Playoff seeds in the NFC and earn a week off with a 1st Round Bye until the Divisional Playoff round. New Orleans needs to finish AT LEAST no lower than the #2 seed behind the Los Angeles Rams, so that way they’ll get a week off to rest with a 1st Round Bye before hosting a Divisional Round Playoff game at the Mercedes-Benz Superdome against an opponent still to be determined. 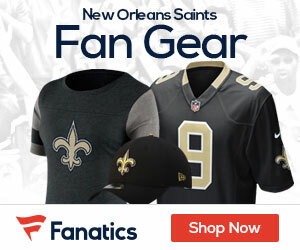 The only question right now is whether or not the team can regain their focus after experiencing that disappointment that many players felt, although starting center Max Unger told neworleanssaints.com Senior Writer John DeShazier yesterday that it shouldn’t be that much of a problem. “I’d say it’s more like get back to our foundation,” Unger continued. “This locker room is mature enough to recognize that loss for what it was and it just being a tough game for us, where we couldn’t get going and couldn’t get a rhythm going. “This is 100 percent commitment, back to work and (Coach) Sean (Payton) said that after the game, just examine everything, get back to what we’re doing and kind of reload for the start of the fourth quarter of the season,” Unger said, before leaving the Practice Facility for the day. Up next for the Saints will be a game at Tampa Bay a week from tomorrow (December 9th) against the division rival Buccaneers, before they travel to face the Panthers in Charlotte, North Carolina on ESPN Monday Night Football December 17th. New Orleans then closes out its 2018 Regular Season schedule with a game at home against the Pittsburgh Steelers on December 23rd, and then once more against the Panthers on December 30th in the season finale at the Superdome. It goes without saying that the Black and Gold will have to “play to win” each one of those games; if they hope to try and keep up with the Rams in the race for the #1 Playoff seed and home-field advantage throughout the entire NFL post-season. Any more losses along the way however, could potentially ruin those plans. Rankins’ sentiment was shared by 2nd year CB Marshon Lattimore. And that will begin in earnest starting on Monday morning, when the team reconvenes for practice after a well-deserved weekend off and begins making preparations for their game at Tampa Bay. Make no mistake about it: losing is never fun, and it certainly isn’t a pleasurable experience when you lose to the Cowboys — a franchise that’s been built on a reputation of swagger and confidence (and often times, overconfidence) throughout the many years — in the manner that the Saints did in this past Thursday’s game. But it was ONLY ONE game, in a season of 16 of them; and having that many wins at this point of the season (with only 4 games left to play) was likely something that not too many Saints fans expected; especially given how bad this team looked following their awful season-opening loss at home in the Superdome to the Buccaneers. Meaning that it’s time to appreciate that the Saints are actually only one of two teams in the ENTIRE NFL with 10 or more wins — and whose top priority for the rest of their schedule, will be winning as many games possible to add to that number….